D2S International has designed a full range of innovative vibration damping solutions at the track level. A floating slab track is a track system constituted of a continuous reinforced concrete slab supported by a resilient layer. 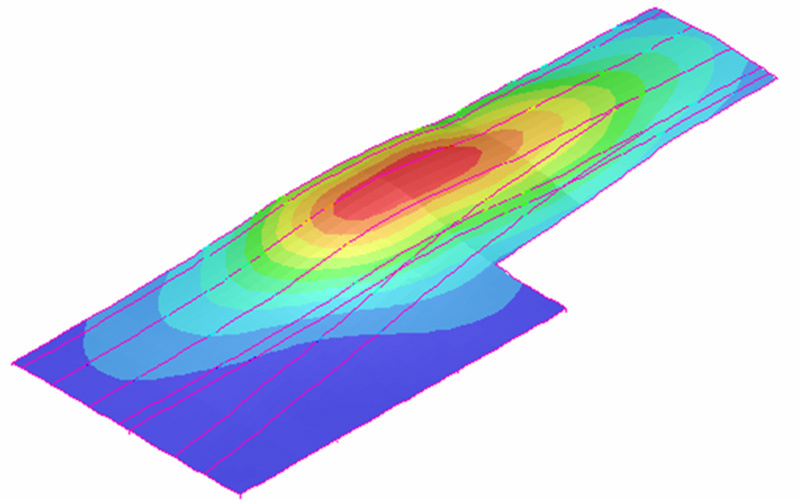 The ground borne noise and vibration mitigation performance of a floating slab track is determined by its first natural frequency. 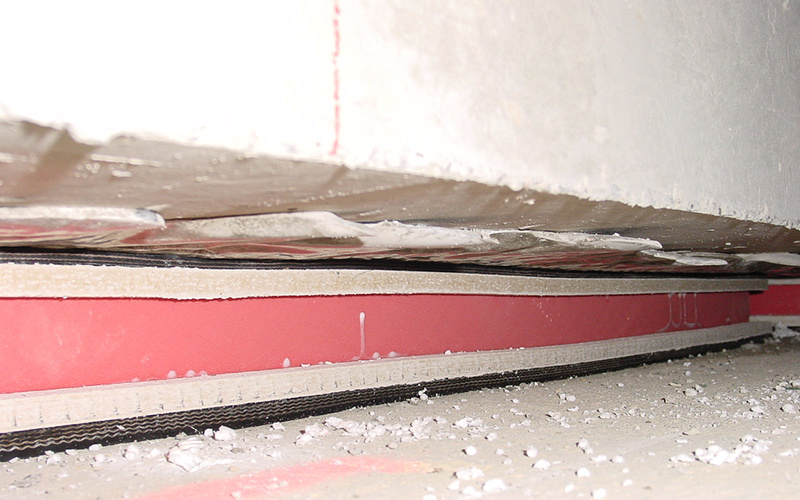 The vibration mitigation performance of the floating slab can be increased by lowering its resonance frequency: increasing the mass of the concrete slab or increasing the resiliency of the elastic layer. 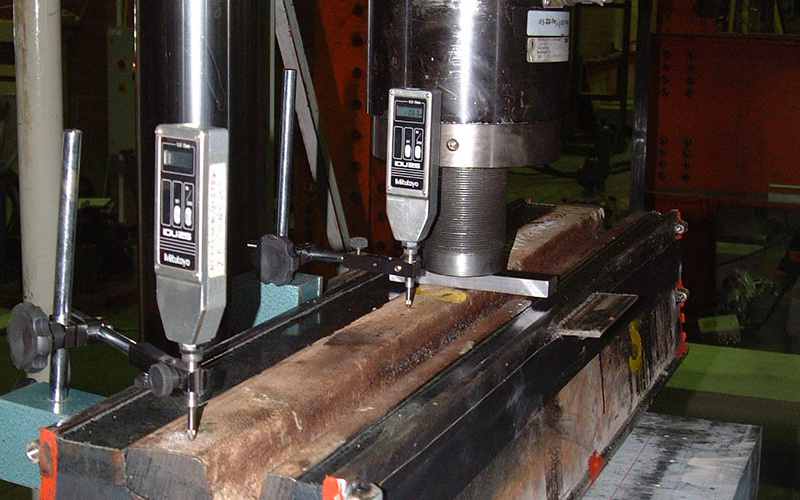 The use of floating slabs under the turnouts was required for noise and vibration mitigation. The designed floating slab consists of a continuous reinforced concrete slab supported by individual resilient bearings. It covers the complete width of the turnout. 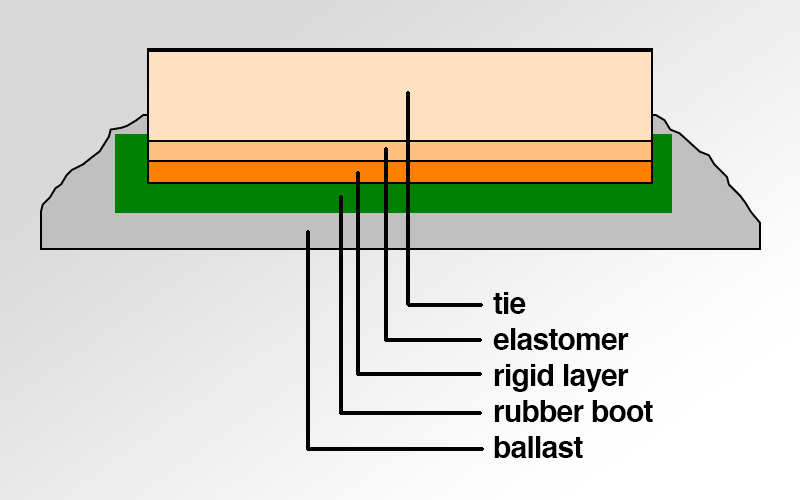 The discrete resilient bearings are bonded to a fibrocement panel. These fibrocement panels are placed on the tunnel invert with the bearing surface in direct contact with the tunnel invert. They are lost formwork panels on which the track slab is poured. Although the resilient bearings are isotropic, i.e. 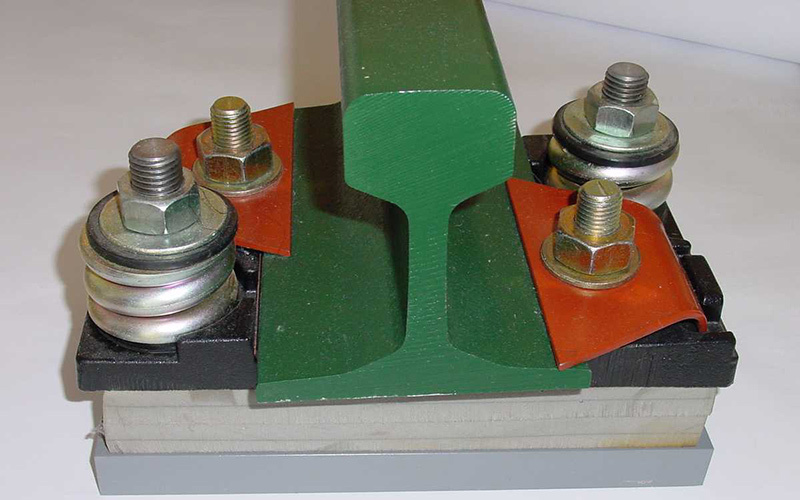 no horizontal bearings are required for normal operation, lateral stop bearings are added in order to avoid exaggerated displacement in accidental conditions such as earthquake or derailment. A new tramway line was designed, passing very close to old buildings. In these areas, it was necessary to put the tracks on a floating slab, in order to preserve the nearby buildings from excessive ground borne noise and vibrations. 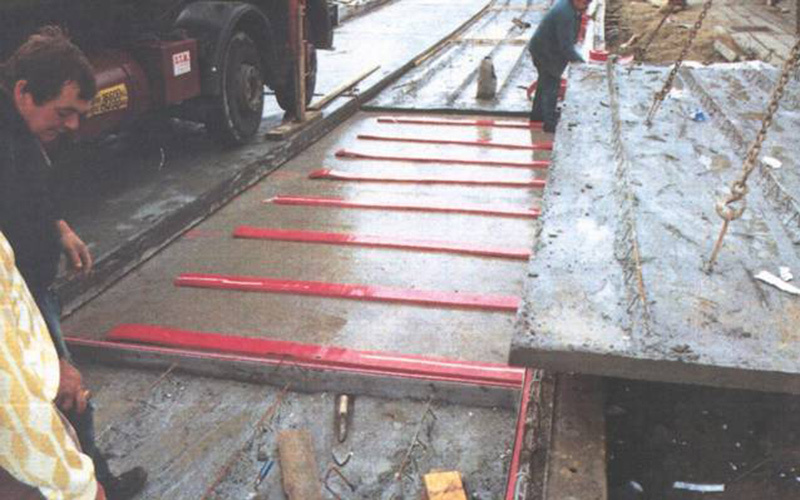 The floating slab was designed for embedded track with pavement or grass. It consists of a 26 cm high concrete slab + road surface. The elasticity is given by a continuous resilient mat under the concrete slab. The New Acropolis Museum is to be constructed in the direct vicinity of the metro tunnel. The designed floating slab uses precast modular concrete elements (length 1.39 m) supported by continuous longitudinal resilient bearings. The precast elements are filled with concrete (and rebars) as to form a continuous track mass. On one of the main streets along the tramway line, the alignment ran over old underground pipes. In order to protect these old pipes from the tramway vibrations, it was decided to put the tracks on floating slabs resting on piles. The piles carried the discrete bearings of the floating slabs. Due to the complex geometry of the different slabs, the stiffness of all discrete bearings is different. A finite element model of the complete system was made in order to optimise its dynamic behavior. 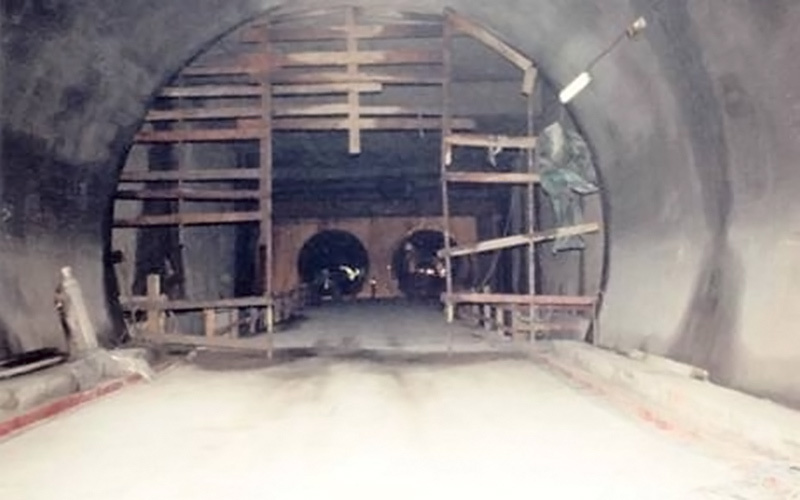 In order to protect a highly sensitive building located on top of a tunnel section where a crossing had to be installed, a floating slab had to be designed. This floating slab is the largest in Europe. 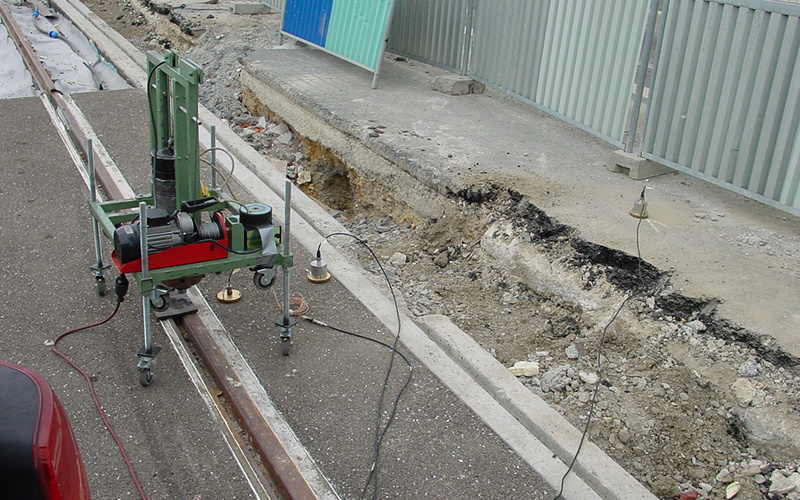 A floating slab was found necessary in order to protect buildings really close to the tracks from excessive ground borne noise and vibration levels. 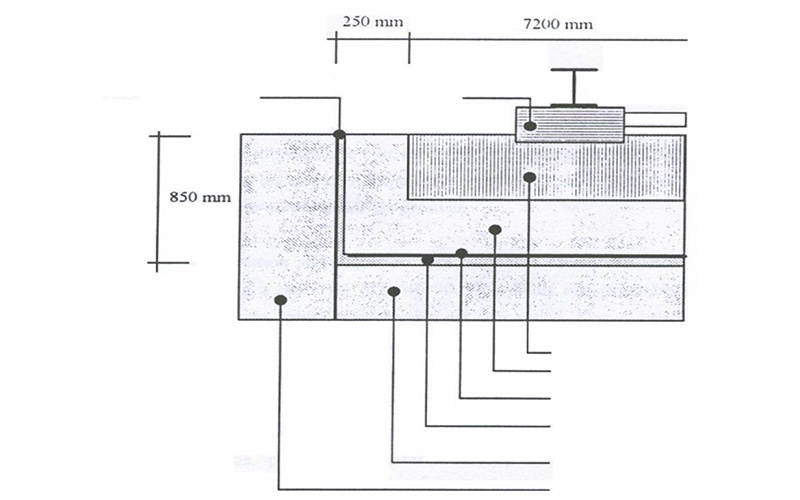 Linear transversal bearings are placed under pre-fabricated concrete elements. For ground borne noise and vibration mitigation, it was decided to put the crossovers on floating slabs (one slab per track). These floating slabs were executed with cast-in-situ concrete elements (9 m length). The second phase concrete assures the continuity of the floating slab. The resilient bearings are longitudinal. The general concern for clean and maintenance free tracks resulted in an option for ballastless tracks. A major concern in the track study was the noise level in the station hall under the tracks. The station hall is an existing steel structure on top of which the tracks are to be installed. 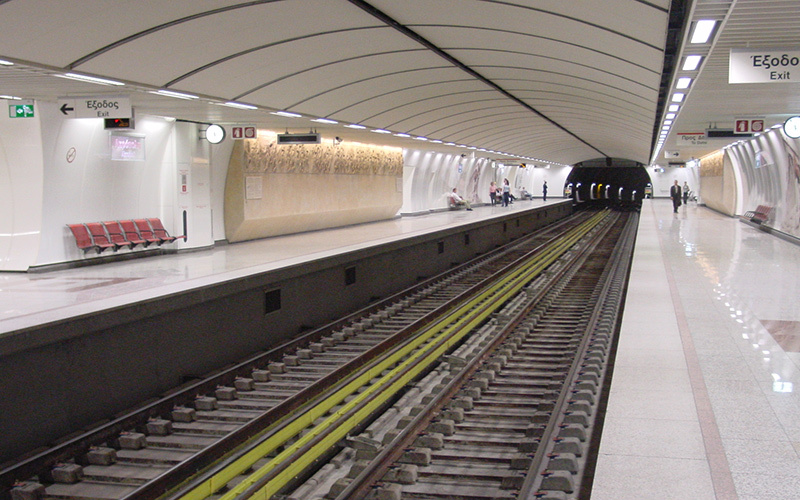 The designed track system consists of a floating trackbed mounted on top of the existing steel structure (station hall), with linear (transversal) supports. 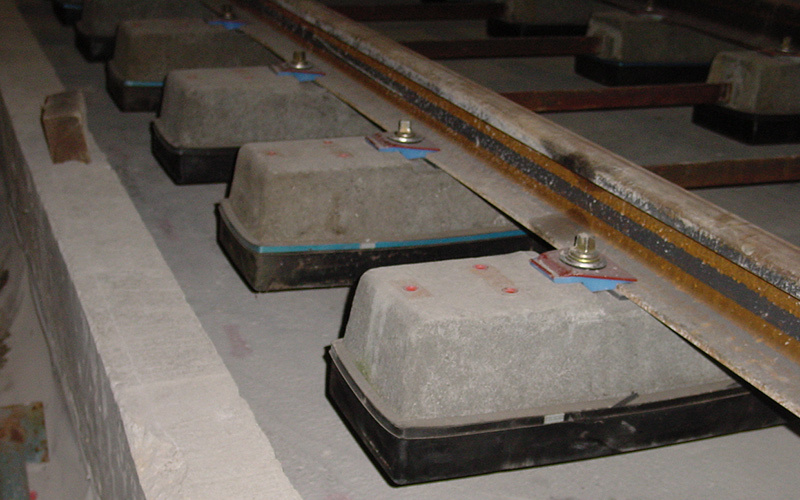 Concrete booted twin block sleepers with elastomeric pads are used for rail fixation. 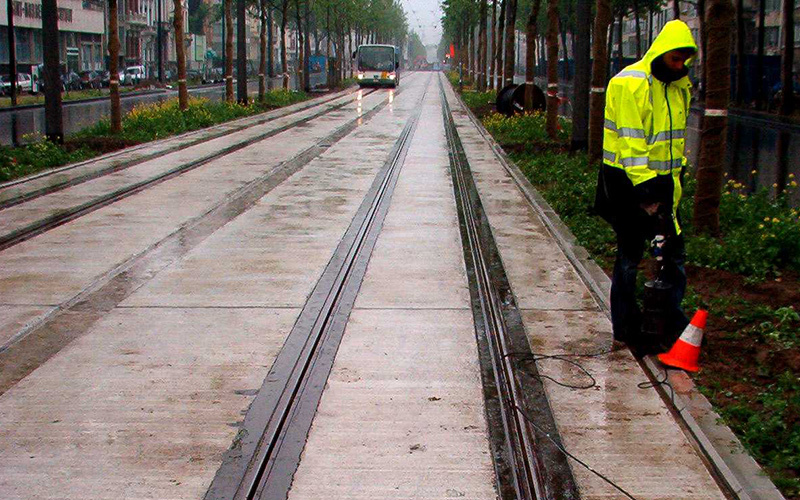 A floating slab has been designed for an embedded tramway track. 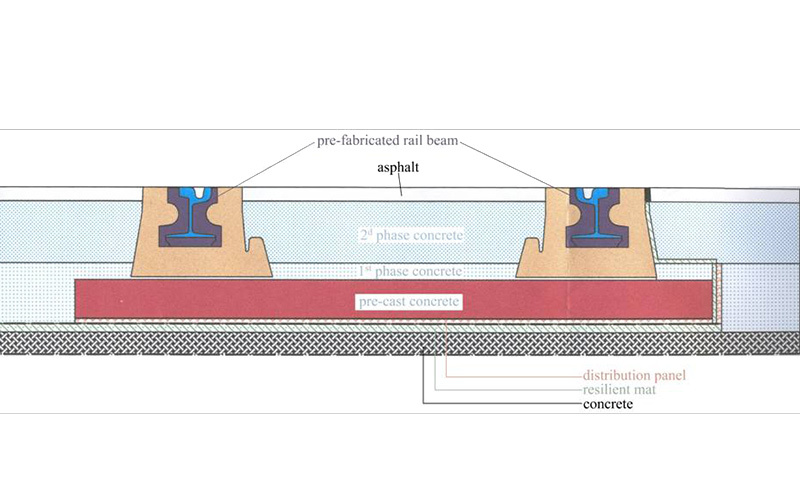 It consists of a concrete slab (including pre-fabricated rail-beams) supported by a continuous resilient mat. 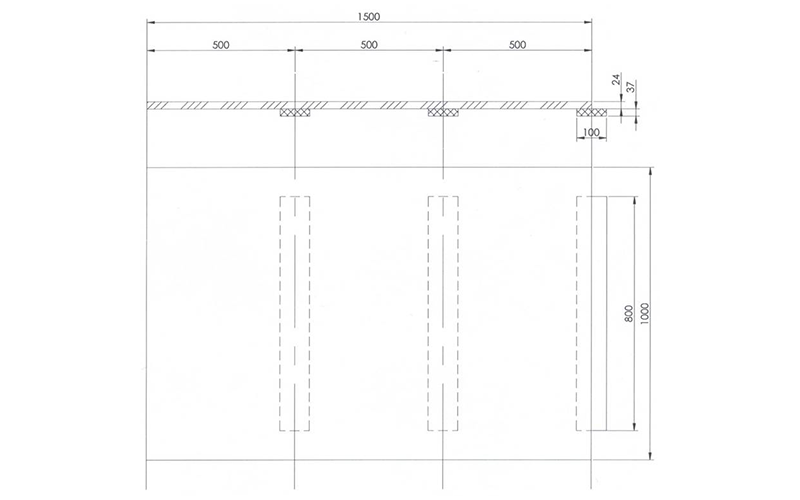 Due to the high level of pre-fabrication, the installation of this floating slab takes significantly less time than the installation of a conventional floating slab track. This is particularly important in urban areas. It was necessary to prevent vibration and ground borne noise in the adjacent offices of the European Community. Lateral and longitudinal joints were part of the design. 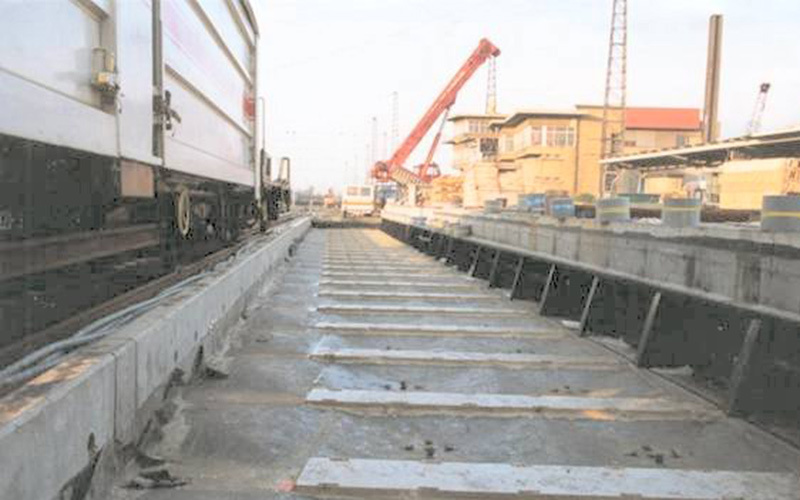 Since SNCB opted for ballasted tracks, a solution was designed with floating slabs (concrete U shaped tubs on a resilient continuous mat, two layers of 25 mm each). The concrete tubs are filled with ballast.